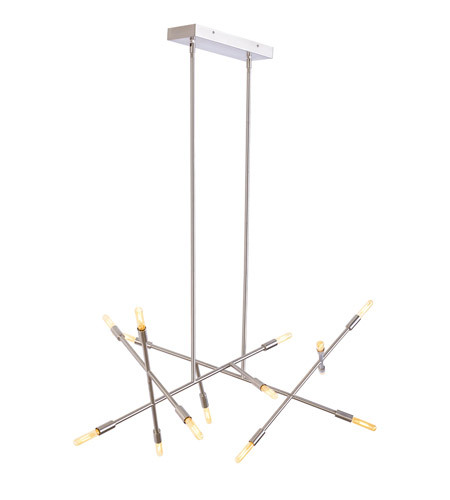 LED Xterna Linear Suspension – Stunning design, powerful performance and remarkable flexibility are the tenets that brought this incredible light fixture to life. 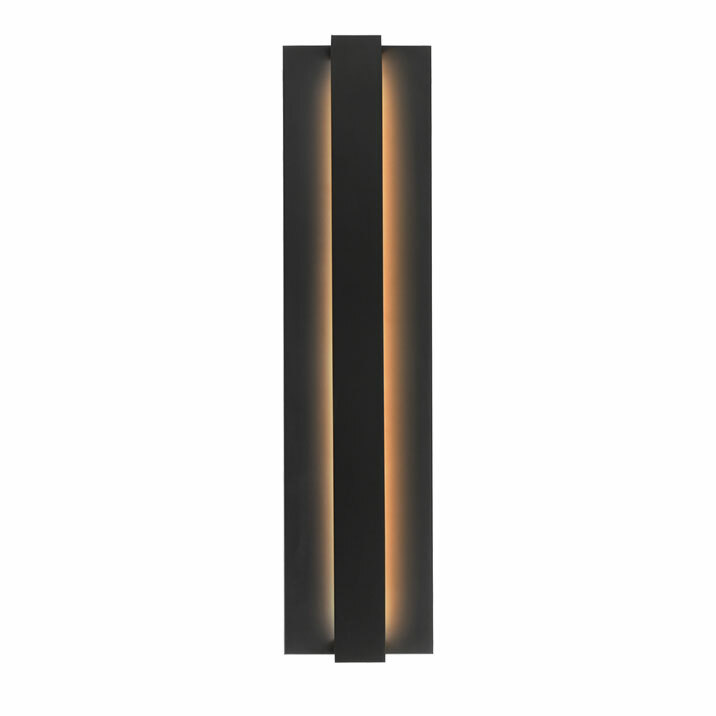 Inspired by metal elevator gates of the early 20th century, the Xterna linear suspension light from LBL Lighting has upward and downward firing LEDs embedded within its unique structure which are gradually revealed as it extends to a fully and easily customizable length from 7″ to 76″ even after installation. 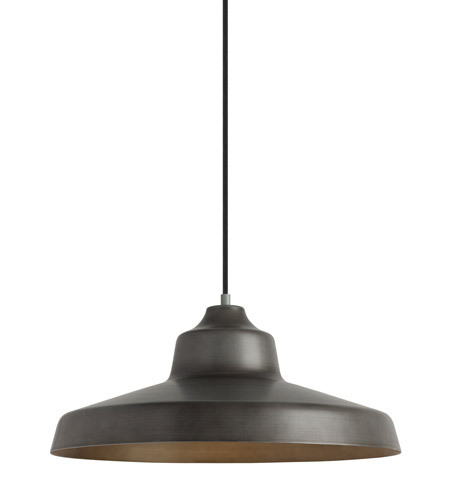 Our new arrivals include products from LBL Lighting – which feature a tailored take on the industrial look. 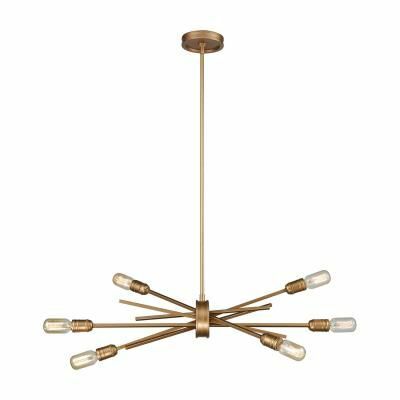 From 1950’s inspired sphere-shaped pendants to contemporary LED suspension fixtures that appear to float in mid-air, LBL brings a design-infused aesthetic to any room. 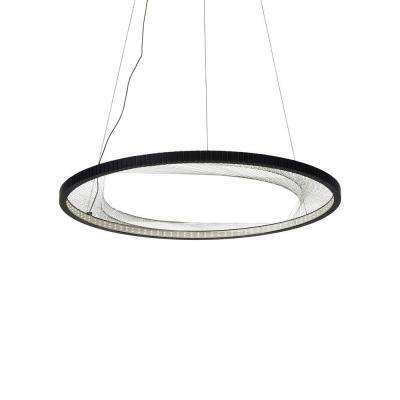 LED Interlace Suspension – A 30-inch aluminum outer ring is machined to receive hundreds of hand-strung strands of stainless steel cable which create an intricate, interwoven pattern. 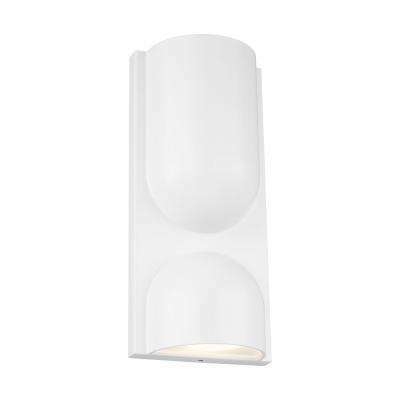 The Interlace from LBL Lighting features powerful LEDs that shine inward toward the reflective cables to create visually interesting general illumination lighting. 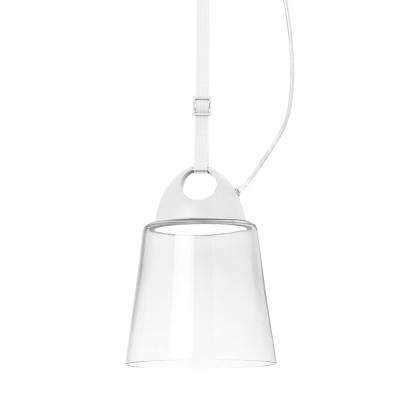 Independent suspension cables allow multiple hanging angles for this lighting fixture. Register below to have Rensen House of Lights email promotions and valuable coupons sent directly to you! 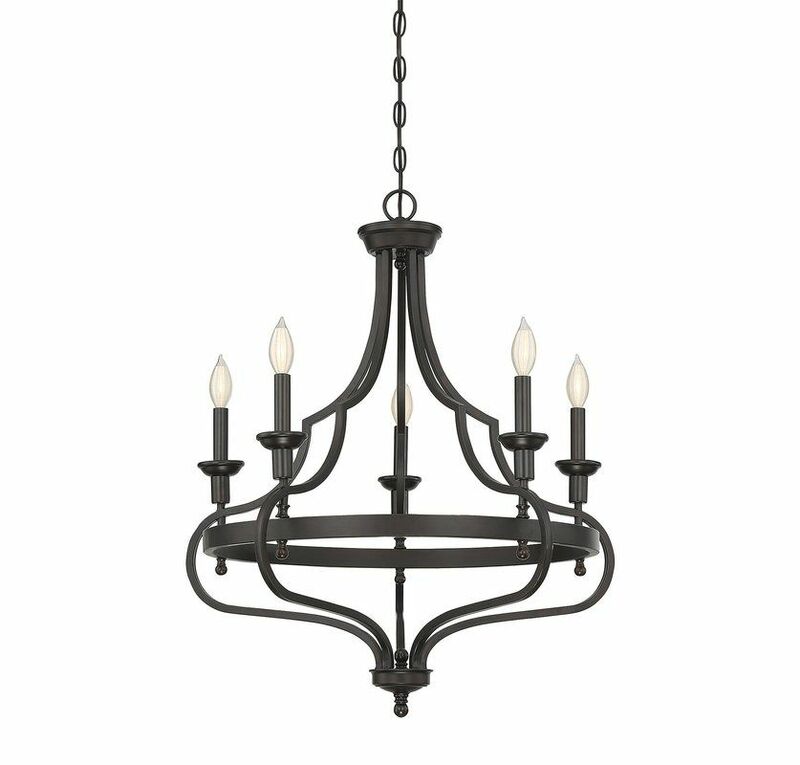 Visit one of our showrooms to see these stunning styles in person and let our lighting experts guide you in selecting the optimal size fixture and technology for your home. 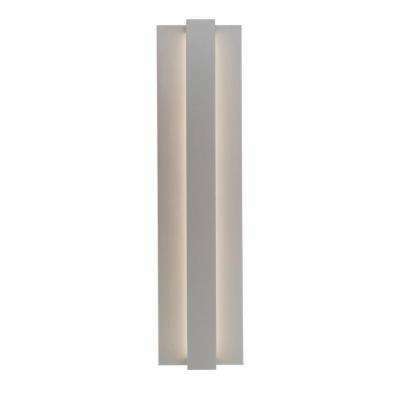 LED Vitre Square Suspension – Two wave-cut acrylic panels separated by open air define this intriguing suspension fixture. 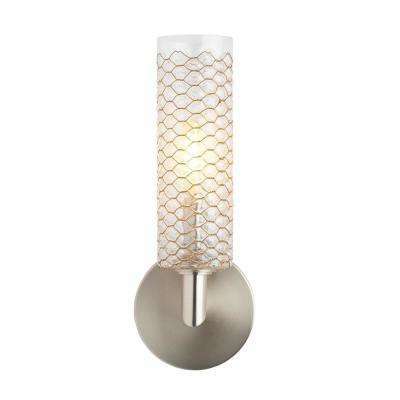 Using LED light-guide technology, the light source is embedded within the brushed metal frame then redirected downward using a special honeycomb grid pattern etched into the panels to create diffuse ambient light. 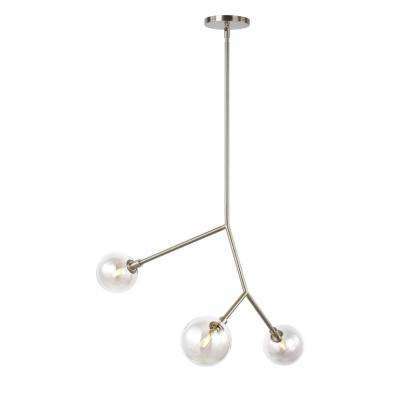 LED Sphere 3-Light Chandelier – Echoes of large white glass globes common in 1950’s décor are present in this modern yet miniature LED interpretation. 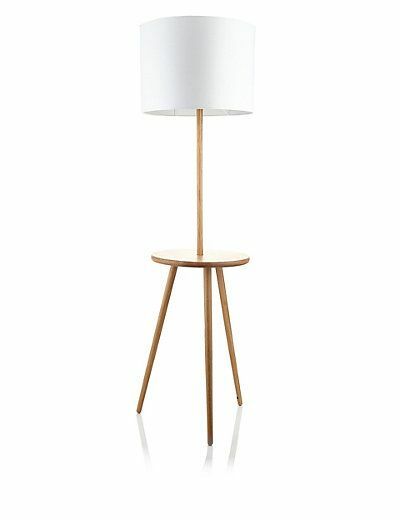 Featuring a unique crisscross patterned die cast aluminum heat sink and an optional warm color dimming LED module which gradually changes color from 3000K to 2200K as the Sphere pendant light from LBL Lighting dims to mimic halogen.